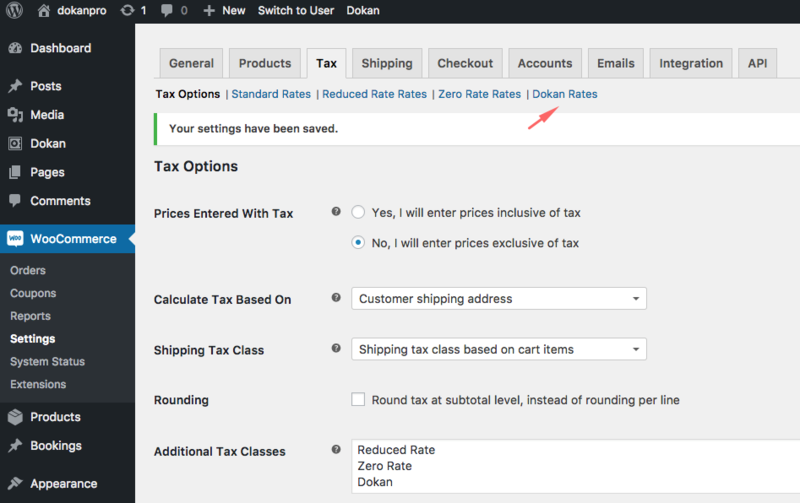 Dokan has built in support for WooCommerce taxes. So the admin can configure taxes from backend and vendors can select those tax classes while creating or editing the products. 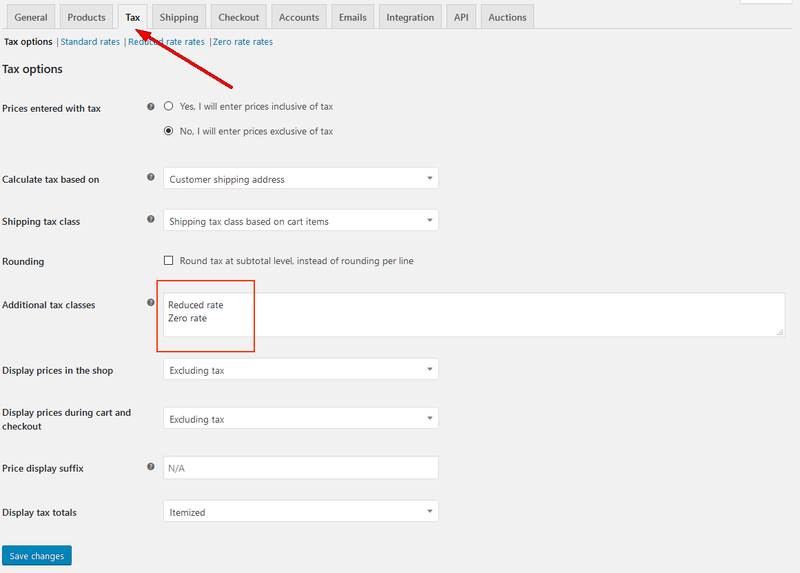 Go to wp-admin → WooCommerce → Settings. 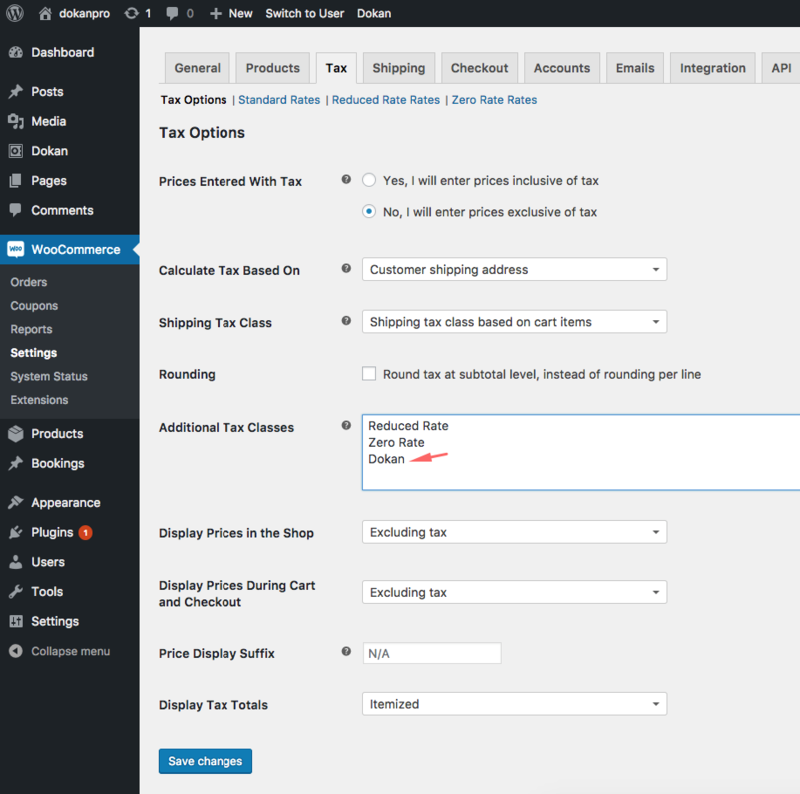 Under the Settings page, check the box for Enable Taxes [Enable taxes and tax calculations] under General options. This will open up a new tab in the Settings page, called Tax. In this page, add an additional tax class named Dokan in the highlighted box. Now Save Changes. You will see a new sub menu named Dokan Rates appear on top. 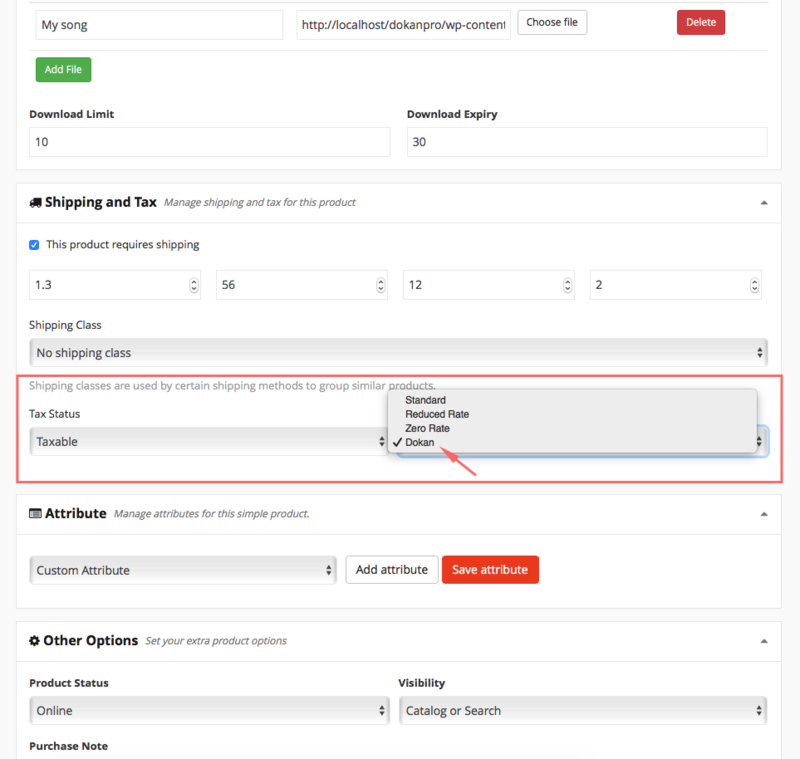 Now you can enter the tax rates manually or even Import / Export from CSV files. When you are done setting up taxes, you will have the Dokan tax class listed with the other ones you have. Navigate to yoursite.com → Dashboard → Product and go to any product edit screen. The vendor only has to select the tax classes from the drop-down and hit save. The taxes will be applied to the checkout page automatically.